Fake news is one the top debates in media and conferences at the moment. Brexit, Trump and social networks, just to name a few keywords of the debate, seem to inevitably lead to the question of fake news. However, my talk claims that the arguments struggle with a false ideal state of rationality as a counterpart of fake news. They discuss for instance whether fake news are a new phenomenon or whether it has always existed – and only changed in scale and scope; whether fake news are dangerous or not as people are not so stupid as to believe in them. All of these positions presuppose an ideal state of rationality, either one that existed in the past, in the good old times of objective journalism or one that is part of people’s intelligence, the so called common sense. However does this really explain the spreading and power of fake news? 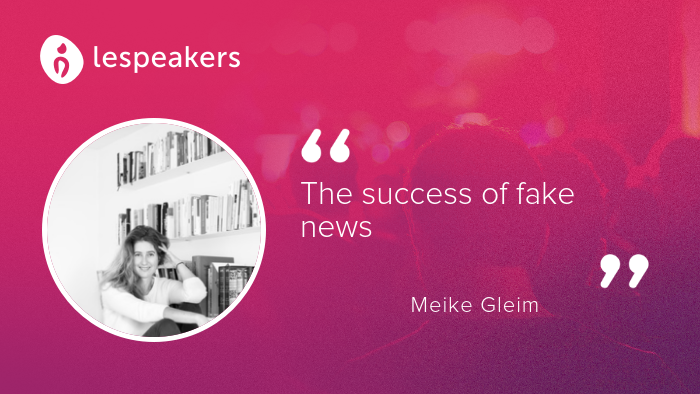 My talk will take a somewhat different look at the phenomenon of fake news, a look that explains not only its success but that could also help us in confronting with fake news.